Polka Dots are a pattern that will always be in style. This set features 6 cards with large polka dots, 6 cards with smaller polka dots and 12 envelopes of brown textured kraft paper. They are each approx. 4.75 x 3.5 inches and blank inside. How great would these be for thank you notes? Since they are blank inside you can use them for thank yous or any messages. These are also 4.75 X 3.5 inches and have envelopes included. I think these would make perfect birthday invitations for perhaps an older gentleman who used to own these toy cars when he was a child. They would be perfect for any age in fact. This week we are allowing you to choose your gift if you are our weekly winner! Megan is giving the choice of 6 cards in either the typewriter, retro fan, mailbox, bicycle, retro toy or kettle designs. The possibilities go on and on as how to use these cards. The fans would be wonderful for invitations to a summer party. The kettles, perhaps a brunch invite? The typewriter would be great to just say hello! Whichever you choose, shall you be the winner, is up to you! 1. Check out Rue Renee at Etsy.com and come back here to make a comment. Tell us your favorite item in the shop. Entries will be accepted until Friday at midnight. Check back on Saturday to see if you are the winner! I love all the retro cards. Heather, I'm so happy to be featured on your blog. Thank you so much for the wonder write up! I love rue renee's stuff! My favorite is the typewriter notecards! I love RUE Renee! I have bought several of her cards and LOVE them ALL!!!!!! My favorite is the retro fan card! i just found her shop and love her red trees cards!! I love the Hello There cards! So cute! 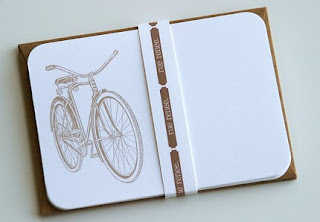 I love the bicycle cards! I really like the red tree note cards! I really like them all, but my faves are the polka dots, the retro bicycle, and the red trees. Thanks for the chance! Just became a follower to this lovely blog! Love Rue Renee! My fave, the retro tea kettle cards! So wonderful! It's tie between the bicycle and then tea kettle!! Oh the typewriter would be so fitting! And I like the polka dot cards too. 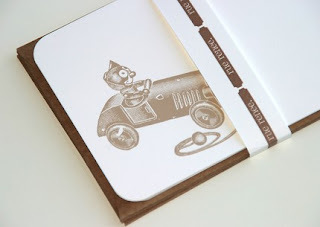 The Retro Fan notecard set is so adorable I love the look of your card sets. Very Professional! These cards are so different and creative. I like them all, but the red trees are my favorite. Fantastic cards! I love the retro birthday, but my favorite is the "HONK HONK HISS silly goose valentine card"
Wow, really? A favorite? They're all great! I keep eyeballing the You've Got Mail ones. I really like the bicycle cards. 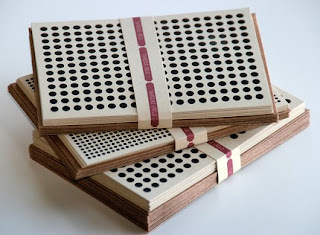 Love the polka dot cards, and the retro ones are v. cool. Was hoping she had some thank you notes in the collection - will have to check back. the typewriter cards are my favs!